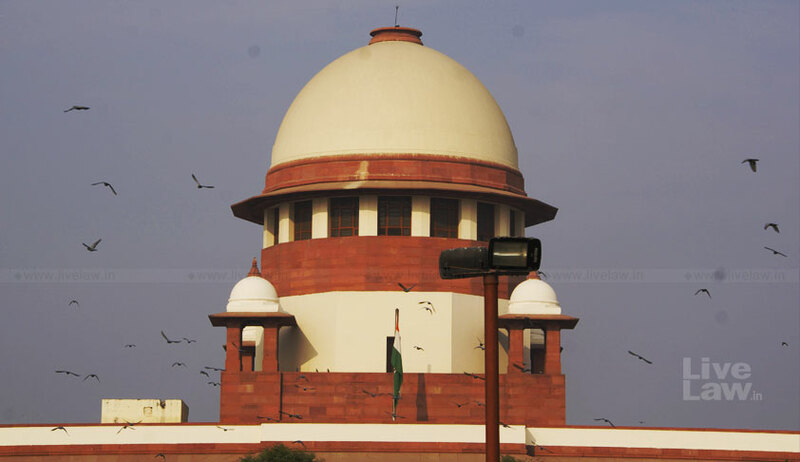 The Supreme Court on Friday issued notice to the State of Madhya Pradesh and the High Court of Madhya Pradesh through its Registrar General on a petition moved by two women aspirants of Madhya Pradesh Higher Judicial Services Challenging the Madhya Pradesh Higher Judicial Service Rules 2017 and the advertisement issued for recruitment to the said post bringing down the upper age limit. A bench headed by Justice Kurian Joseph issued the notice and directed the respondents to appear before it on May 16. The petition has been filed by Ranjana and Kavita through advocate Preeti Singh who contended against the retrospective effect of the Madhya Pradesh Higher Judicial Service Rules 2017 by which the upper age limit for the higher judicial service exam was brought down to 45 from the earlier 48. The new Rules, she said, disqualified the petitioners, both aged 45 years, from taking the upcoming exam for the post of Additional District Judge. It is to be noted that the Madhya Pradesh Higher Judicial Service Rule 1994 provided that a person shall be eligible for appointment by direct recruitment if he or she has attained the age of 35 years and has not attained the age of 48 years on the first of January of the year in which applications for appointment are invited. On March 13, 2018, the 1994 Rule was repealed and new rules came into existence according to which no person shall be eligible for the appointment by direct recruitment unless he or she has attained the age of 35 years and has not attained the age of 45 years on the first of January of the year in which applications for appointment are invited. Subsequently, an advertisement was issued for the post of Additional District Judges. “The Madhya Pradesh Higher Judicial Service Rule 2017 dated 13.03.18 and advertisement dated 13.04.18 are totally arbitrary, illogical, capricious and cannot be enforced. The rule 1(3) of Madhya Pradesh Higher Judicial Service Rule 2017 provides that these rules shall come into force on the date of their publication in the official gazette which means Madhya Pradesh Higher Judicial Service Rule 2017 will have prospective effect and will only be applicable for the recruitment year which is notified after the date of publication i.e., 13.03.18. It simply signifies its applicability for recruitment year consequent to its date of publication/after 13.03.18 and not before it,” said the petition. It also stated that “in the states of U.P, Bihar and Rajasthan, women have horizontal reservation in the higher Judicial Service exam. On the other hand, the state of Madhya Pradesh fails to give such needed benefit to the women. Now with the Madhya Pradesh Higher Judicial service rule 2017 and its wrong interpretation/application vide advertisement bearing dated 13.04.2018 the women who are deprived of the horizontal reservation further gets disqualified/ruled out of the Madhya Pradesh Higher Judiciary Service because of the lowering of age limit by 3 years i.e., from 48 years to 45 years”.